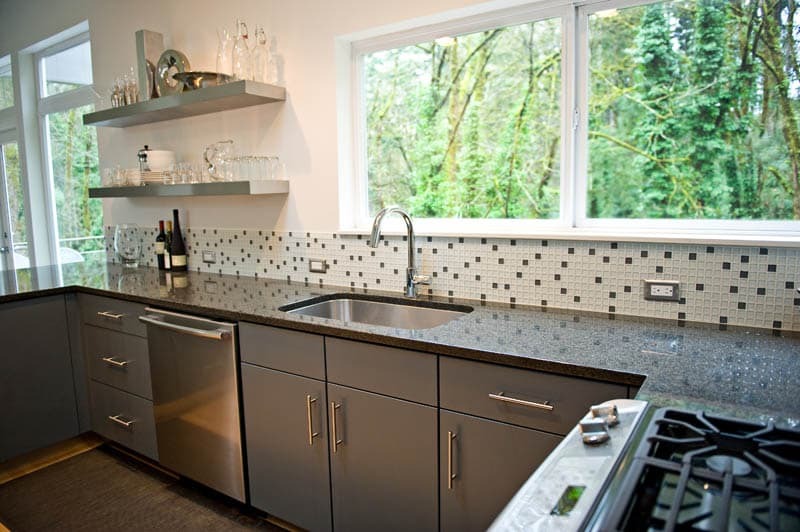 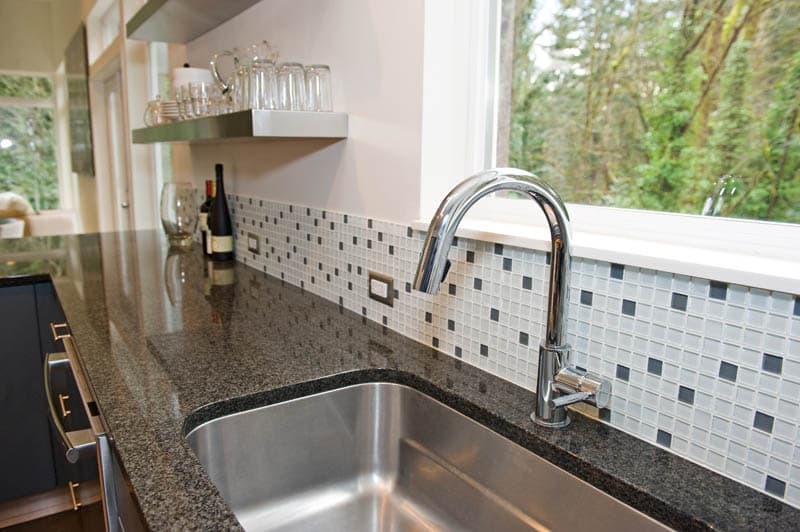 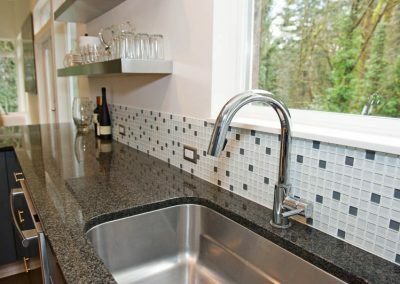 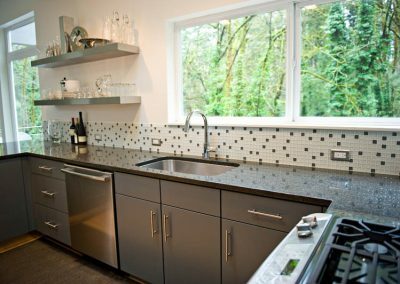 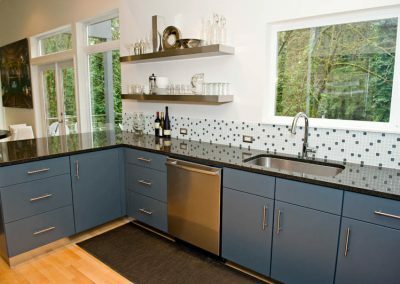 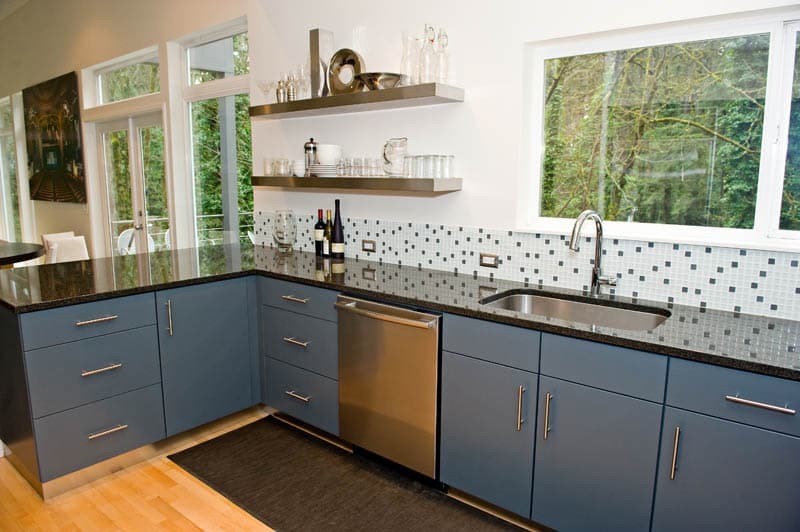 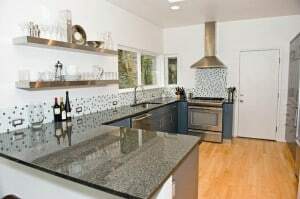 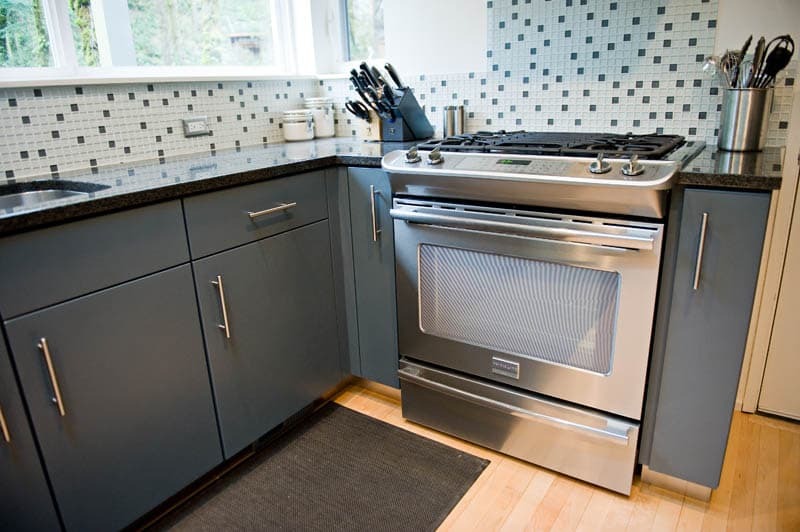 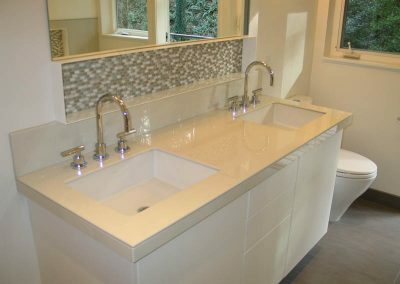 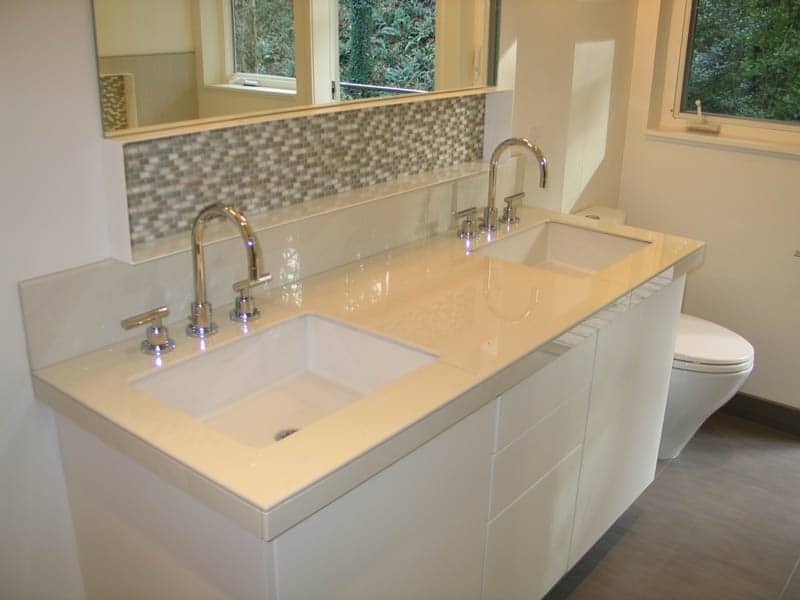 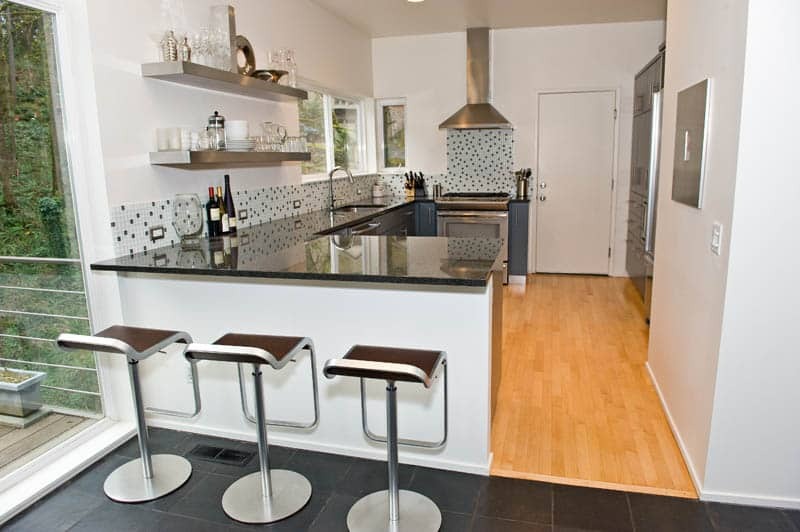 Nestled in the trees near Hoyt Arboretum, the new owners of this 20-year old contemporary home collaborated with LHL Homes and Steelhead Design to create a dramatic change to a dated, inefficient kitchen and a poorly designed and appointed master bathroom. 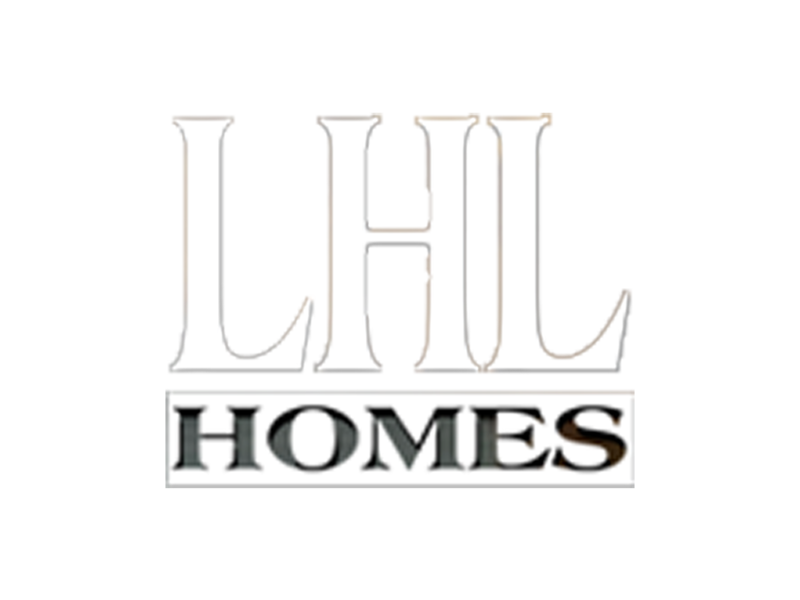 New to Portland, they selected LHL for their impeccable references, wealth of expertise, and their team of professional craftsmen and women. In the kitchen, contemporary, paint-booth finished cabinets, granite counters, stainless steel accessories, added natural light, and new plumbing/appliances combine for a stunning result. 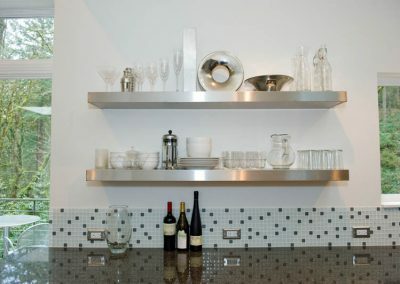 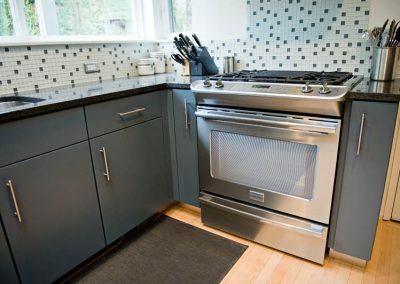 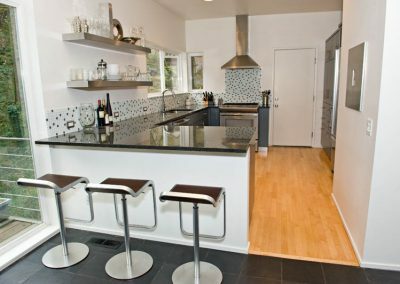 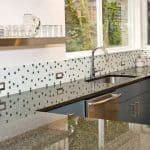 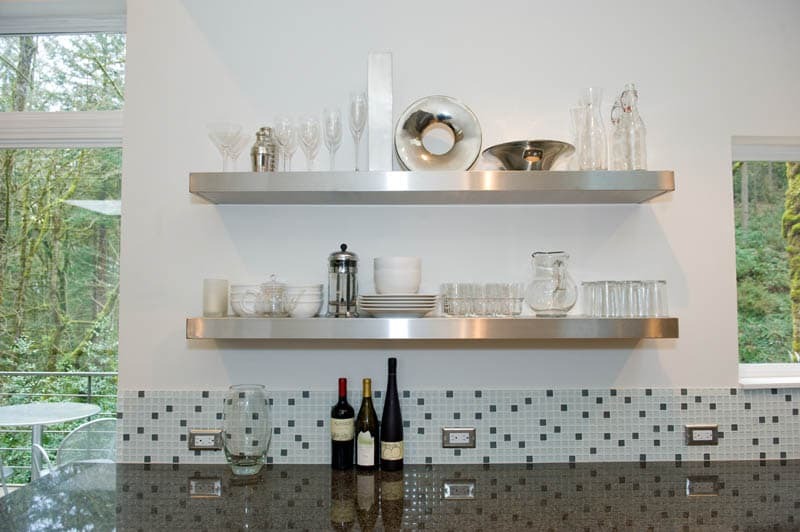 The kitchen also boasts 25% more storage space. 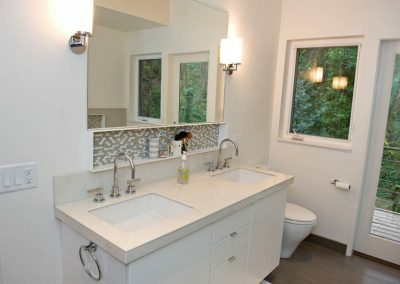 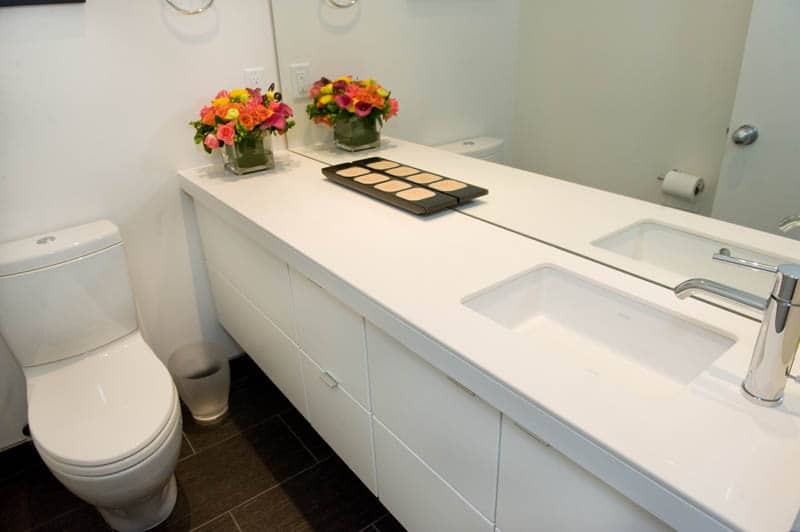 The master bathroom transformation is no less dramatic. 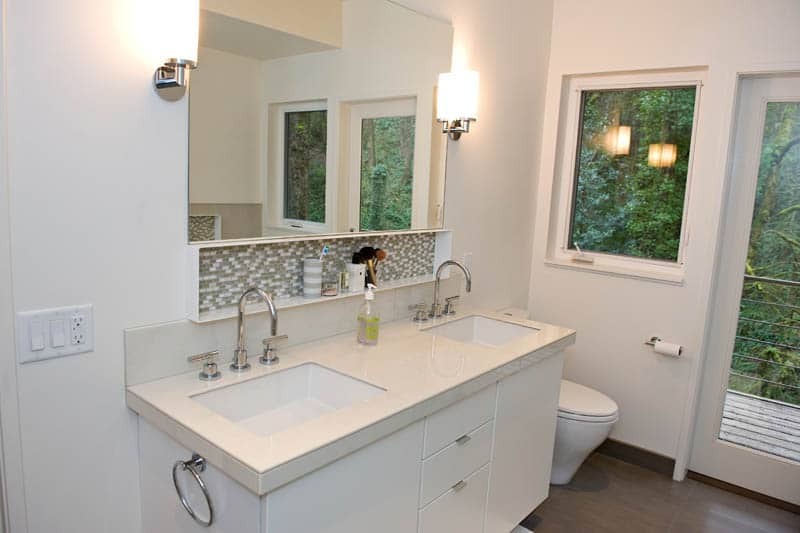 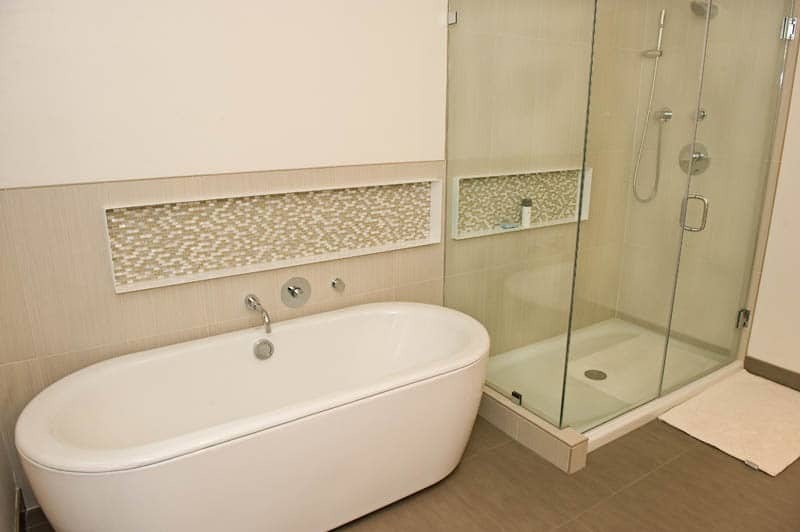 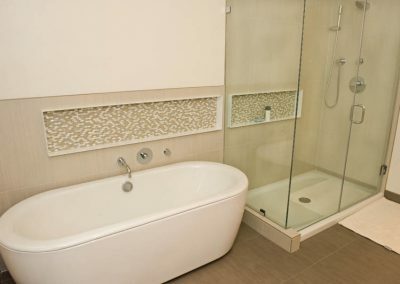 A freestanding tub, generous use of tile accents and design, and a reflective, picture-framed mosaic tile connecting the tub and shower create a simple, pleasing elegance.